Technically, I got this a bit after Christmas, but it took a bit and it got here after the Holiday Haul got posted. I’m loving this series and am in the midst of The Well of Ascension. I can already tell that Sanderson will be on my auto-buy list! And, here’s what I got from Book of the Month. I loved An Anonymous Girl, so I had to get myself a finished copy of it. Golden State also called to me (and fits with my sci-fi challenge) and The Silent Patient sounded super interesting. I almost dropped my stack taking that picture. Whoops. But, I got all of these from Book Outlet’s Boxing Day sale. Can’t recommend that company more. I got all of these books for, like, under $50 and I’m super excited to read them all! I also received some new releases that I preordered! I got my copy of In an Absent Dream! While I didn’t love the next book in the series when I read an ARC of it, I’m excited for the eventual reread that I’ll do to see if I change my mind! I also got Song of the Dead! I read an ARC of this and enjoyed it, so I already knew that I’d have to get the second and final book in this duology. A solid series that was fun to read. 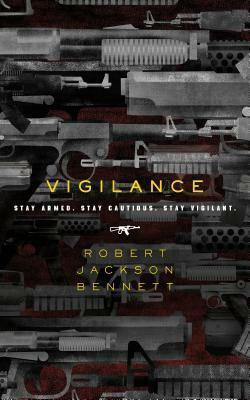 A while back, I read an ARC of Vigilance and I finally decided that, yes, I had to own it. So, I got it! I don’t have a nice picture of it, though, so you’ll have to put up with the one from Goodreads! 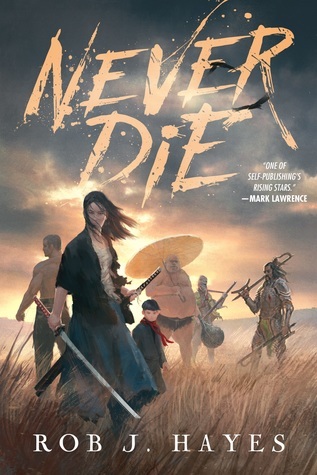 Lastly, I decided to get Never Die. It just sounded so interesting to me! I got the Kindle edition, so no fancy picture. Either way, I’m excited to read it! First, the swag. It’s good, but a bit too feminine for me. Tbh, I’m looking to give a bit of it away, so hit up the comments if you want anything. But, that book. Omg, I love the cover. And, even better, it’s signed. Next, I got something from an Etsy shop. I didn’t take pictures of the swag, but it came with a mirror that’s related to the book and a bookmark. I’m looking to give the mirror a good home, too! But, also, it came with a signed book! What did you treat yourself to this month? I really enjoyed some the contents of the Wicked King box. The candle is amazing. Yes, I do love the candle! I think my main issue with it — and this extends to Owlcrate in general — their products are too feminine. And, so, I expected to dislike most of the contents of the box. Wow, what a beautiful haul! I just pre-ordered On The Come Up by Angie Thomas, but didn’t buy as many as normal because I got a ton for xmas. That’s awesome! I hope you love it.